I'm a multidisciplinary professional with varied experience in digital marketing , integrated marketing communications, e-learning and classroom training. With a doctoral degree in communication and curriculum studies and a passion for digital technologies, I've acquired many skills during my professional journey of almost two decades. More of a strategist, I enjoy simplifying the complex by making the content interesting, engaging and compelling to influence business results positively. I never miss the big picture whether I'm working on a marketing strategy or a on a learning strategy. At the same time, with a keen eye for detail, I design blueprints and plans that can implement the strategy to drive the desired outcomes. Click here to download my first mobile app and improve your performance as an Instructional Designer, with key information at your fingertips in the form of 60 Mobytes. 7 Cs of the content engine to drive Inbound Marketing. This write up gives you practical insights into the significance of various aspects of content in generating leads and improving overall marketing performance. Check out the cool tips on Breakthrough Instructional Design in the free eBook from The eLearning Guild. I request you to share your feedback on my book and the website. I would be glad to connect with fellow professionals who wish to contribute to the knowledge pool by sharing their insights and experience. Mail me at mdubey09@gmail.com. 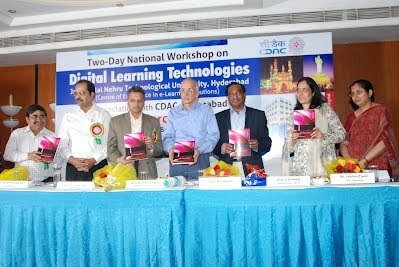 My book, Effective E-Learning - Design, Development and Delivery, has generated encouraging interest and enthusiasm among the professional community. This website complements the book as a platform to update information and share our experience in the field of technology enabled education and training with the wider community.